Panda theme v2 To-do list. This topic contains 23 replies, has 14 voices, and was last updated by Amin Jan 12. Option to make the main image gallery on the product page autoplay. Panda theme v2 have-done list. (V2.2.9) Preloader. Beautiful Preloader for prestashop 1.7. (V2.2.2) Add a Home button to sidebar. (V2.2.2) Add a feature to the theme editor module to check updates. (V2.2.2) Option to show View button under price. (V2.2.2) Ability to show discount info as a sticker on product images. (V2.2.2) Integrating Visual composer module. (V2.2.5)Add a checkout button to cart to allow users to checkout without going to the shopping cart page. (V2.2.5)Add a Buy now button along with the Add to cart button on the product page if it’s possible to do the same as the above request. Google address suggestion and auto complete for address. When customer fills out address part of registration options appear with suggested address and if clicked completes address field. @markaussie that would be a lovely feature. I need to check if it’s possible first. This reply was modified Dec '17 by Jonny. I don’t understand if Visual composer module is already added in Panda Theme 2.2.1, please. It would be nice to have “Amount left for free delivery” module (or something like that: https://addons.prestashop.com/en/shipping-costs/20769-amount-left-for-free-delivery-free-shipping-count.html ) to the cart. 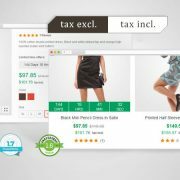 A similar module can increase the sales of the shop and therefore the satisfaction of users who use your beautiful theme. This reply was modified Dec '17 by michylee. 1. Product page, when there is customization field, remove “add” button and make posible add the customization information directly with the “add to cart” button. (One click for client to customize the article and add to cart). 2. Category page, make posible to select combinations in a drop-down menu. 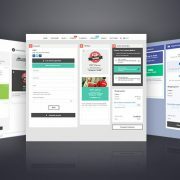 the objective is that the customer can choose an option and add to the cart without entering each product. 1. 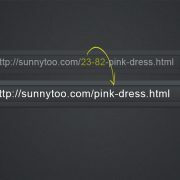 Pretty urls – would be good for eshops which run under old different platform and want to use prestashop (currently not possible due ids, without paid module). You can buy than module. I probably won’t add that feature to panda theme. 1. There is nothing I can do about that, that’s not in the scope of what a theme should do. There are 3rd party modules which can achieve exactly what you wanted. 2. I like the feature too, but it seems like we could not have the feature in prestashop. Unlike other simple ecommerce platform, prestashop’s combination system is supper complex, too complex to be placed onto the category page. 1. Yes, I will include one to panda theme in future. 2. 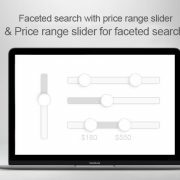 “product image slide”? Like the ones on this page http://panda2.sunnytoo.com/third/en/ Panda theme v1 uses Owl carousel which is not enough for displaying product images like that. The feature can only be a built-in feature of themes, can’t be added by modules. 3. Text editors on the back office? I recommend you Advanced url module, the one you are using isn’t customizable. Can you add option for sticky shopping cart and search bar in the sticky horizontal menu? This reply was modified Jan '18 by Diyan1234. If you add these elements to menu hook and menu is sticky, then you have all like you want. I have the shoppping cart like that. I want possibility to add the logo to sticky header on desktop pages. ok, this is debatable in any case (what function is expected from a template) I think this is a very cool and basic feature for all themes like other panda functions that are also offered by 3rd plugins, but It’s Ok.
Can you link me one plugin that do this and is compatible with panda theme on prestashop 1.6? My website is still in testing mode protected by user and password to prevent google duplicate content penalization. All that I made is putting all that I want sticked in the same place of the megamenu. I have megamenu and shopping cart sticked like screenshot. currently “image hover and zoom” or “product image slider (Display all images in a slider)” can be used. Would be nice to have a choice to use hover image/zoom on desktop and image slider on mobile and so. Currently “hover image and zoom” are useless on touch devices. This reply was modified Jan '18 by marsopko. 1. Grid view for Featured Categories module. 2. Grid view for brands logo. This reply was modified Feb '18 by palenkov. Any news on when you include a pretty URL’s feature/module like mentioned in the request from @marsopko ? Your response in January was that it was planned for a future release. 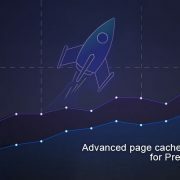 Coming from a different platform, this would help a lot in migrating to Prestashop 1.7. Love your theme by the way! 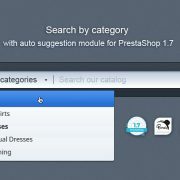 @info7 The best more I have found is Advanced URL module https://addons.prestashop.com/en/url-redirects/16928-advanced-url.html?pab=1& It’s not compatible with 1.7, but we’ve figured out a way to make it be compatible with prestashop1.7 and our themes. 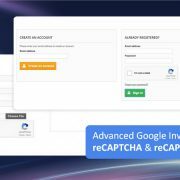 If you buy the Advanced URL, you can use our Advanced support to hire us to integrate the module to your site. @palenkov #1 Yes, I will do that. #2 is already on the to-do list. #3 Explain further. @marsopko Make sense. I will consider about that. @indycz Thanks for your suggestion. That would make the theme editor be even slower, so no. I guess you can use an editor like sublime to edit codes, and then just pasting them to custom code fields there. @diyan1234 search bar and shopping cart can be in the mean, you need to do some customize work if you want them to show out in the sticky menu only. I won’t add that feature to Panda theme. Hi, Jonny! On site yoox.com it is very interesting to realize a quick view of products (product card from the catalog) in the mobile version for smartphones, opens quickly, visually beautiful and convenient. When you click on a product image and the product card POPs up smoothly and you can also close it and return to the original location on your mobile phone. Can you do the same?